Tadpole shrimp (TPS) are starting to pop up in rice fields. A grower asked me when is the period when rice is “safe” from TPS. 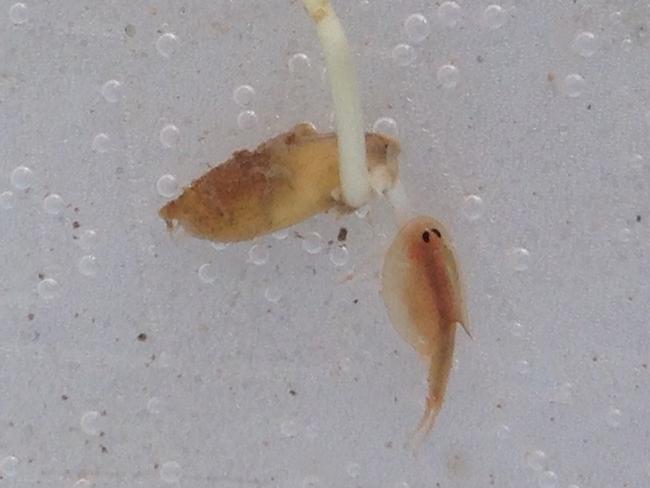 He is seeing very small shrimp, and seedlings are already past the first leave stage of rice (lsr). To determine if rice is going to escape TPS injury, two things need to be considered, the rice seedling stage and the size of the TPS. 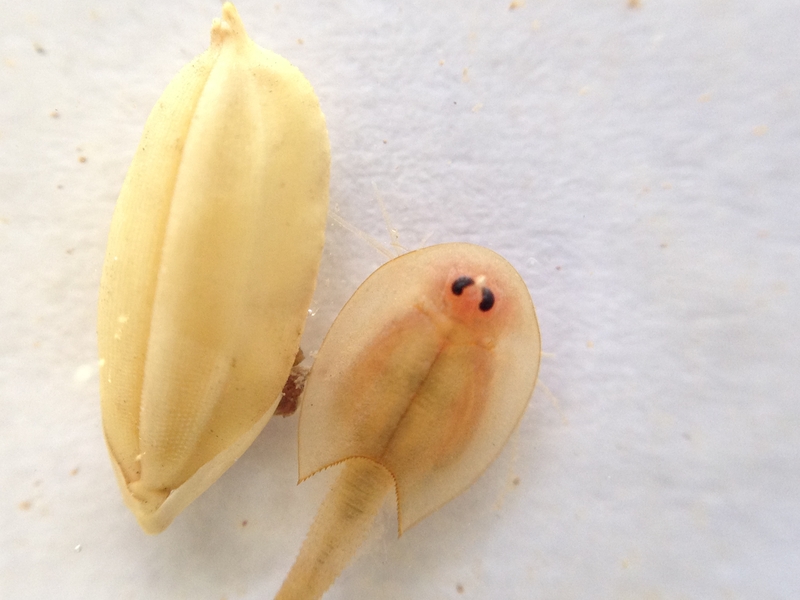 It is difficult to determine the size of TPS, but if you pull one out of the water and its shell is smaller than half the size of a medium grain rice seed, then it won't injure a germinating seed. TPS larger than that will readily feed on germinating seeds and seedlings. 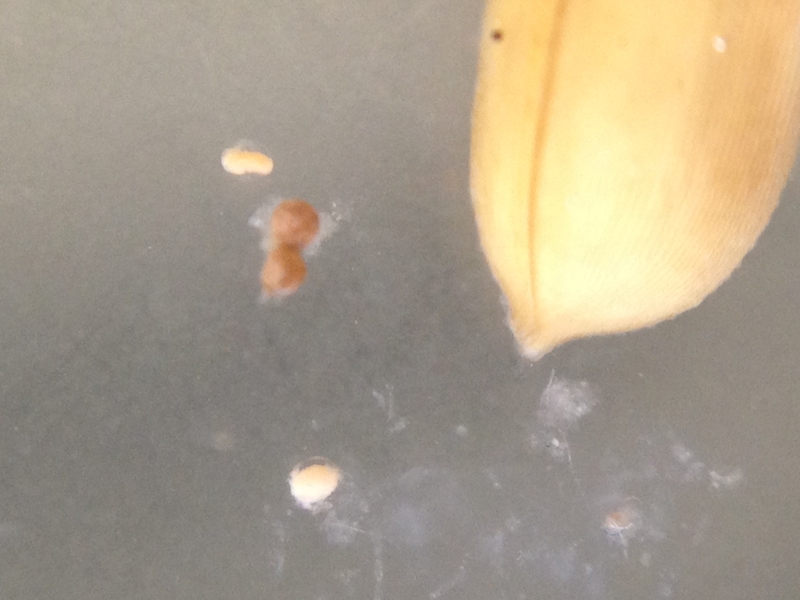 TPS with a shell size about half the size of a rice seed feeding on developing root. TPS will feed on seedlings until they reach the first leave (when the spike is well developed). TPS don't seem to like feeding on the green tissue. However, they will feed on roots. If the main root is exposed, seedlings are still at risk of TPS injury. TPS feeding on exposed roots of 1 lsr. One more thing to considering when scouting. If rice escapes injury and TPS are not treated, they will lay eggs that will stay in the soil and hatch next season. When it comes to TPS management, fields that can be flooded quickly have an advantage over fields that take several days to flood. 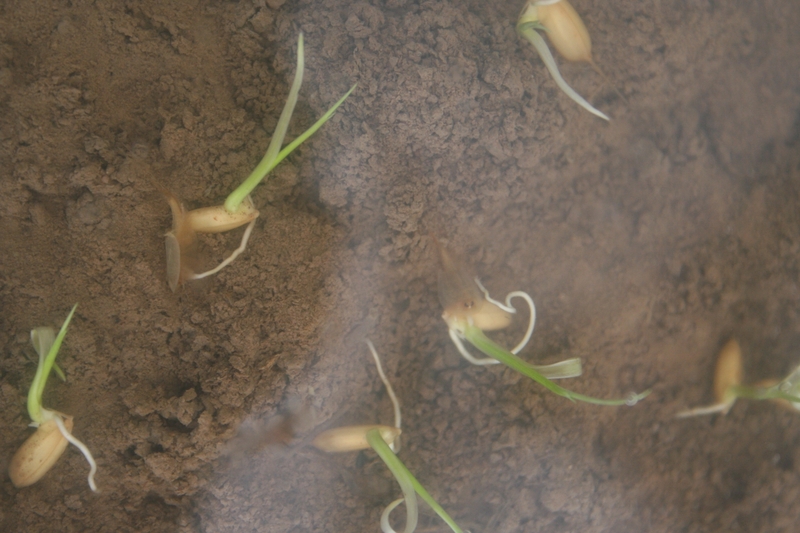 A quick flood followed by timely seeding will result in seedlings that can reach the 1 lsr before the TPS grow too large. In fields where flooding takes several days, TPS will have a head start and may reach the injuring size before the seedlings reach the 1 lsr. A FIFRA Section 2(ee) Recommendation has been issued for control of tadpole shrimp (TPS) using Dimilin 2L. 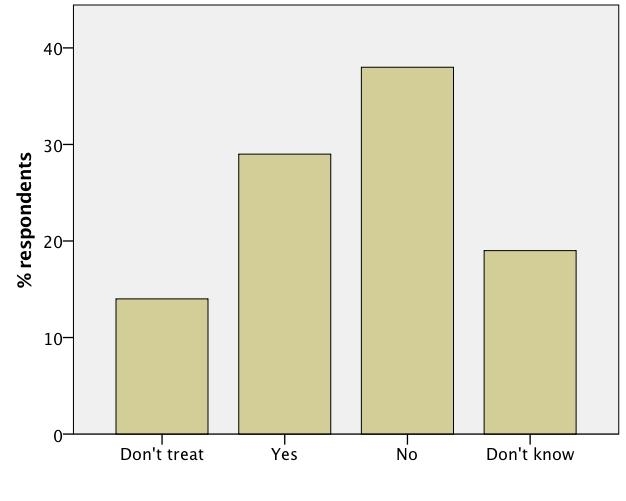 The recommendation states to use Dimilin two to 10 days after the field is flooded; it also states that Dimilin does not appear to control adult TPS. 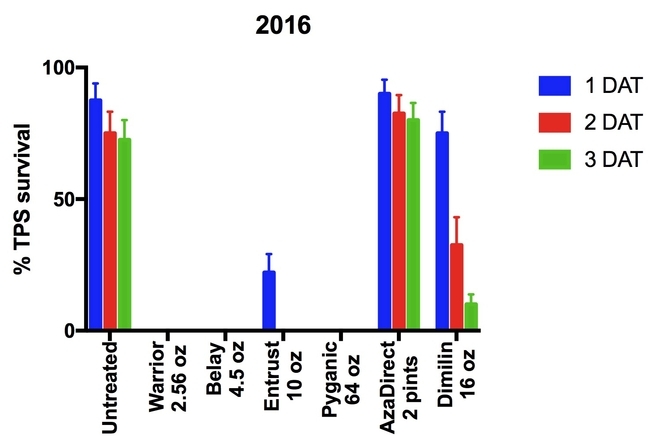 Dimilin is an insect growth regulator. In many insects, it interferes with the molting process of immatures. In rice water weevil, it sterilizes adult females and also kills eggs. TPS are not insects, but crustaceans; however, they also molt. TPS molt 10 to 15 times before becoming adults; after that, they continue to molt as they grow larger. I evaluated a field application today in a field with a known TPS problem. Four days after the application, there doesn't seem to be any surviving TPS and injury to the seedlings is minimal. The application went out soon after the field was flooded. Last year, I conducted a trial to test several products for TPS control. Dimilin was one of them. 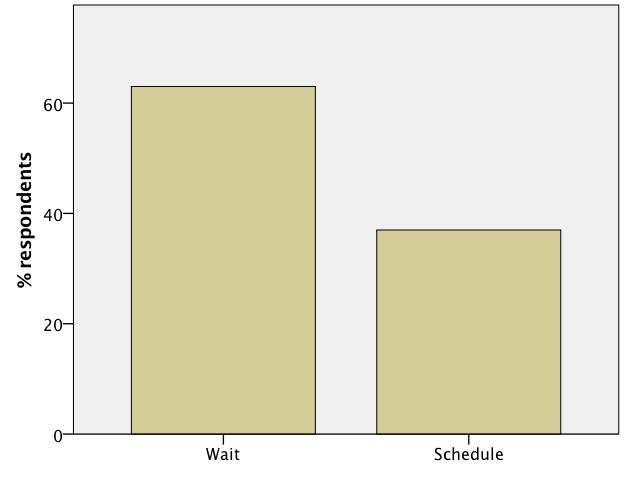 As you can see below, the kill of TPS with Dimilin was slow, and survival was still 10% three days after the treatment. The TPS used in this trial had a shell length size that ranged from 1/3 to 1/2 inch. It is difficult to determine when a TPS is an adult, since the immatures and adults look the same. 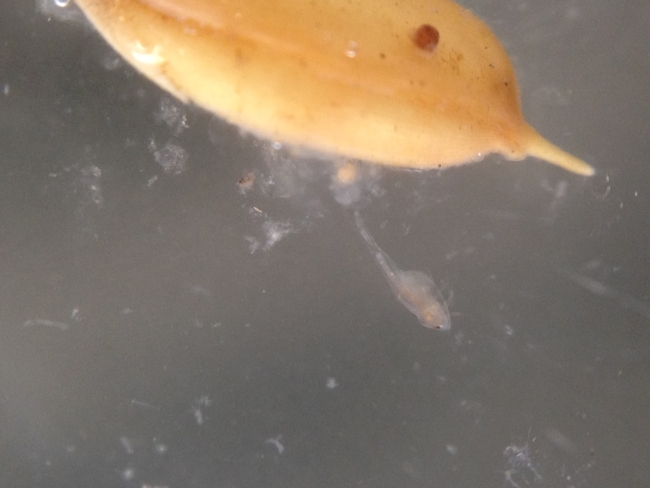 I have noticed that eggs appear when the TPS shell reaches about 1/4 inch in length, so the TPS used in the trial were most likely adults. 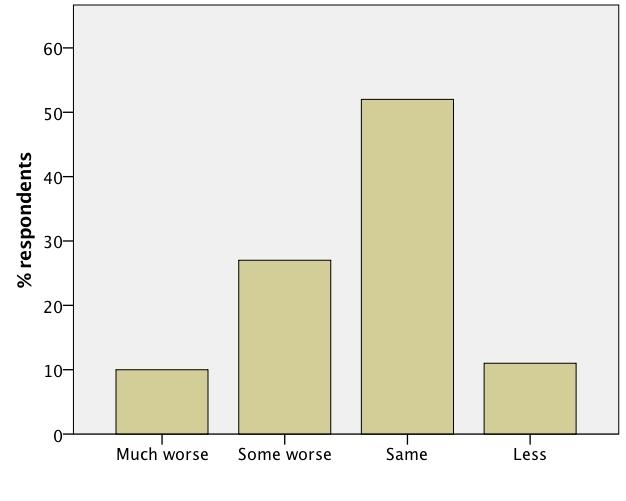 This might explain why the results of the trial were not very striking. I will continue evaluating Dimilin this season in commercial fields and I will repeat the trial conducted last year. The 2016 trial is described in the attached document. Planting is starting to pick up now that water allocations are known. 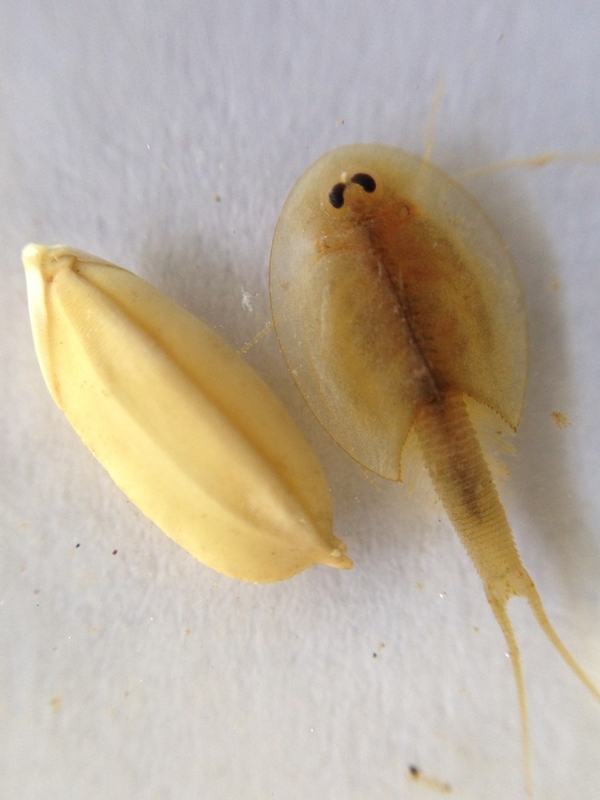 One of the first pest problems one is going to find in recently flooded rice fields is tadpole shrimp (TPS). Most of the time, when muddy water or uprooted plants are observed, it means the TPS are large and probably already done quite a bit of damage. Young TPS are hard to detect; because of their size they might not cause mudding of the water. However, look carefully to see if you can spot them. 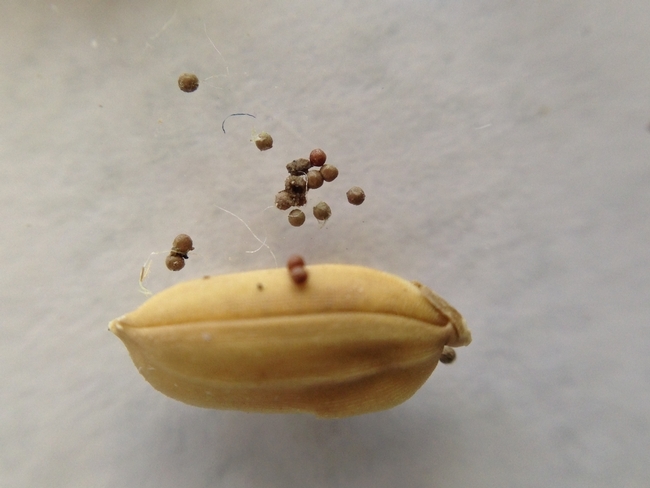 Small TPS, when their shell is about half the size of a rice seed, can injure rice roots as they emerge from the seed; they have a hard time chewing on the coleoptile that emerges first from the seed. Larger TPS, when their shell is about the size of a rice seed, are capable of feeding on the coleoptile and roots, and can dislodge seedlings easily. 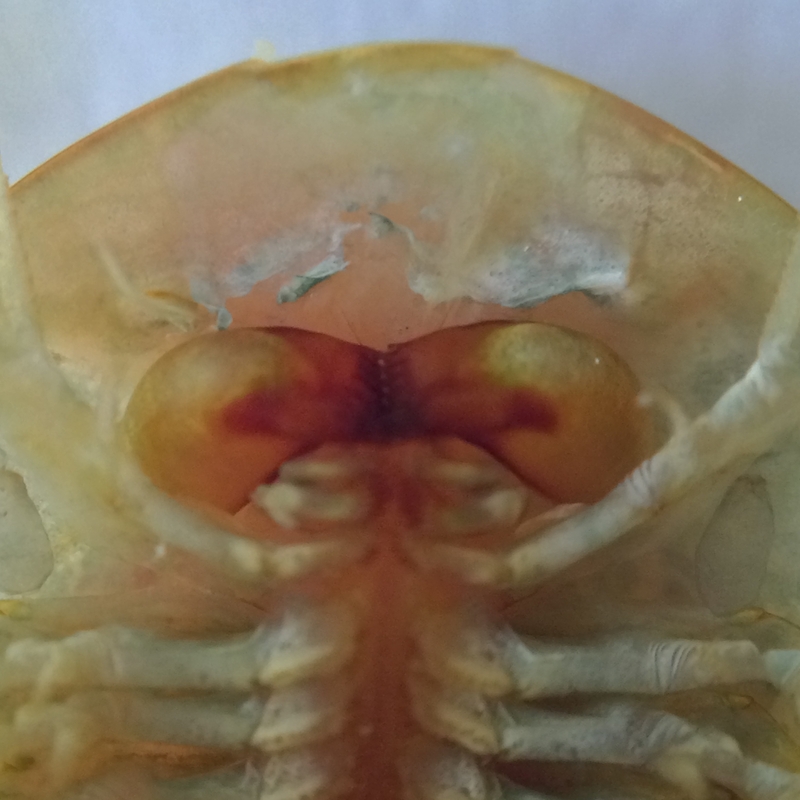 Look carefully, there are other bugs that can be confused with small TPS, such as small beetles and clam shrimp. Small TPS look just like fully grown TPS. The very first TPS instars do not look quite like TPS, but those are really hard to spot, and do not feed on rice seedlings anyway. Here's a few images.